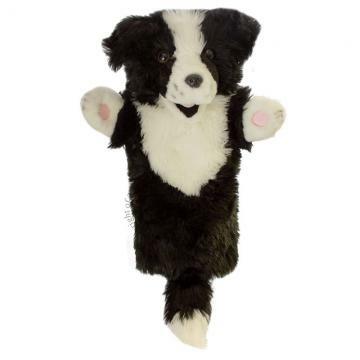 This cuddly glove puppet is made by the Puppet Company and is 38cm x 28cm x 17cm. This hard-working Border Collie is black and white with cute paw pads. He has an opening mouth and is all ready to round up some sheep!